The National Gallery, London, held a Frame Study Day on 15th May 2015 as an auxiliary to its exhibition of Sansovino frames. This is a paper given that afternoon, in a Powerpoint presentation; it’s published here as of potential interest to anyone who understands the power of the internet to connect not only people, but diverse institutions within specific fields of research. Many of the ‘exhibits’ were photographed in their frames (including the first painting in the collection), so it could be said that the picture frame, in an appropriately primitive and embryonic form, has been online from the earliest possible period. More conventional museums were fairly quick to acquire their own websites: the Louvre and Metropolitan Museum of Art went online in 1995, and the V & A and British Museum in 1996. By 1995, in a work by David Bearman called Information Strategies and Structures For Electronic Museums, the ultimate aim of every museum was already seen to be that of ‘making its entire collection available online, all the time’. This did not of course happen. 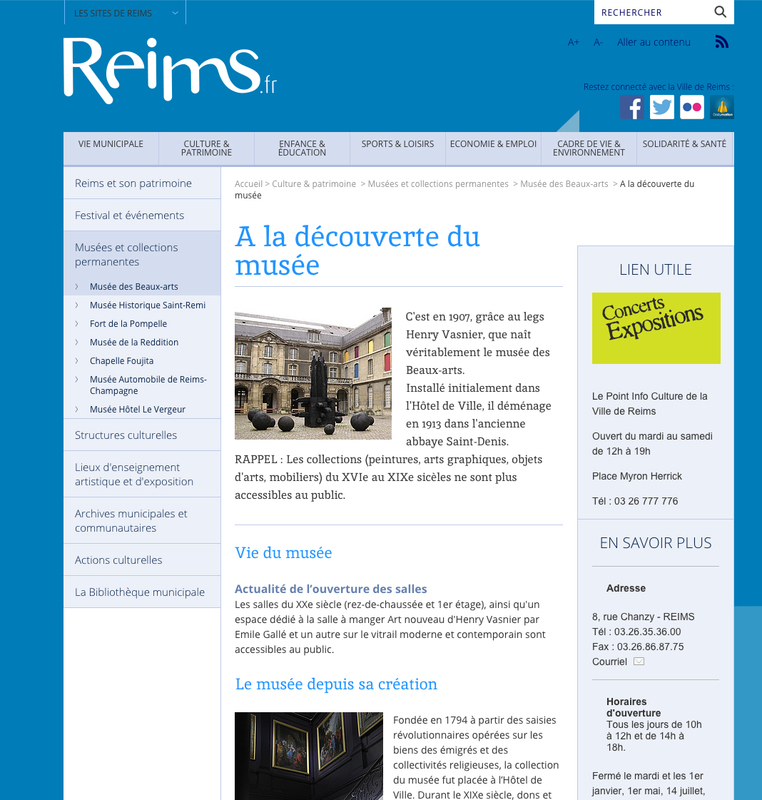 For many museums today – for instance, those in provincial France or Italy, where a large number of institutions have a single page on the website of their local town – it’s still far from happening; and even for those museums which have tried to make as much of their collections as possible available in virtual form, the antique picture frames which form an important part of those collections have generally been either disregarded or treated very cursorily. Where frames could be found online relatively early was in those places where there was already a body of information, and – crucially – a bank of images. This is a point which should be emphasized, since paintings have historically been removed from their frames to be photographed by their holding institutions, or have been photographed framed by – for instance – auction houses, only to have the frames cut out in the sale catalogues. However, the Rijksmusem had held the pioneering exhibition Prijst de lijst (or ‘In Praise of the frame’) in 1984, and therefore already possessed all the catalogue images of framed works for its own entries. 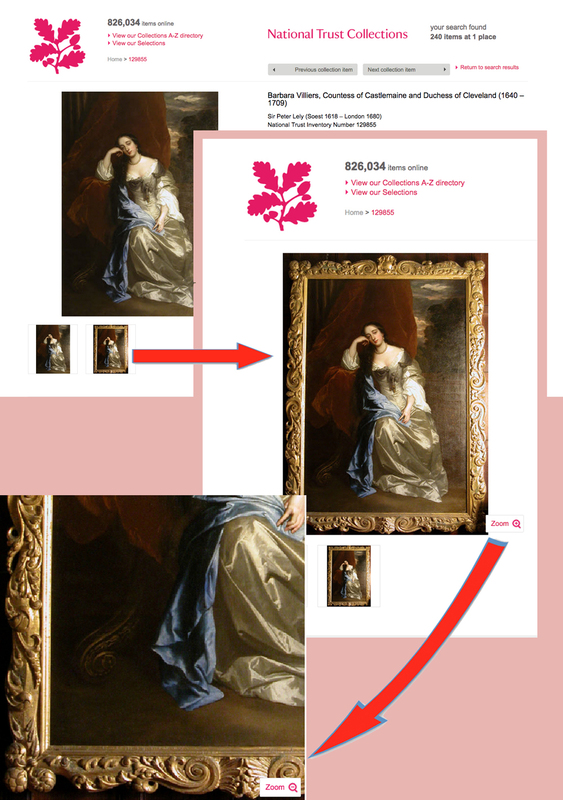 This enabled it to include a core group of 17th century paintings in their frames on its website, with short captions. The image you see above was downloaded from this website several years ago, before all the frame entries mysteriously disappeared. 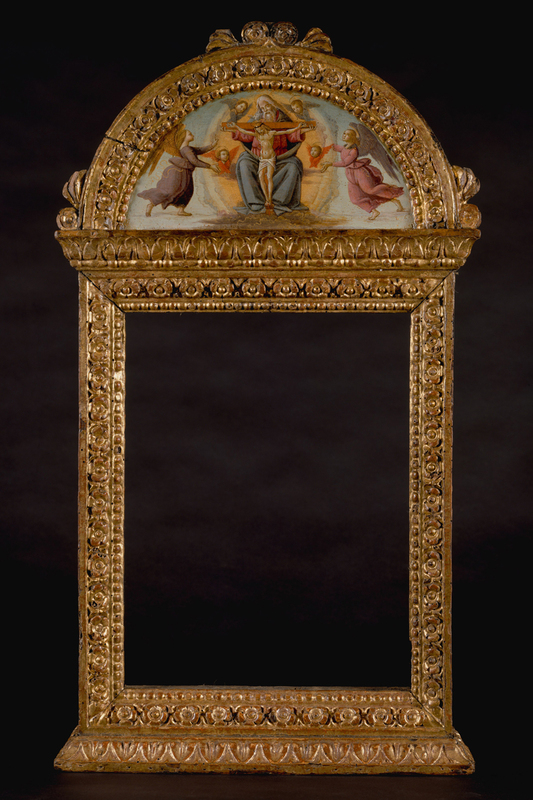 Likewise, the Metropolitan Museum of Art had held an exhibition of Italian Renaissance frames in 1990, accompanied by an eponymously-titled catalogue similar to Prijst de lijst. It included a knowledgeable introductory essay, which combined information on the construction of Renaissance frames with sources in architecture and the applied arts, the input of artists and the flux and flow of styles. Each exhibit had its own catalogue entry and profile drawing, and – as with the Rijksmuseum frames – an image and a caption-like resumé, the last two of which were quite rapidly incorporated into the website of the Metropolitan Museum. 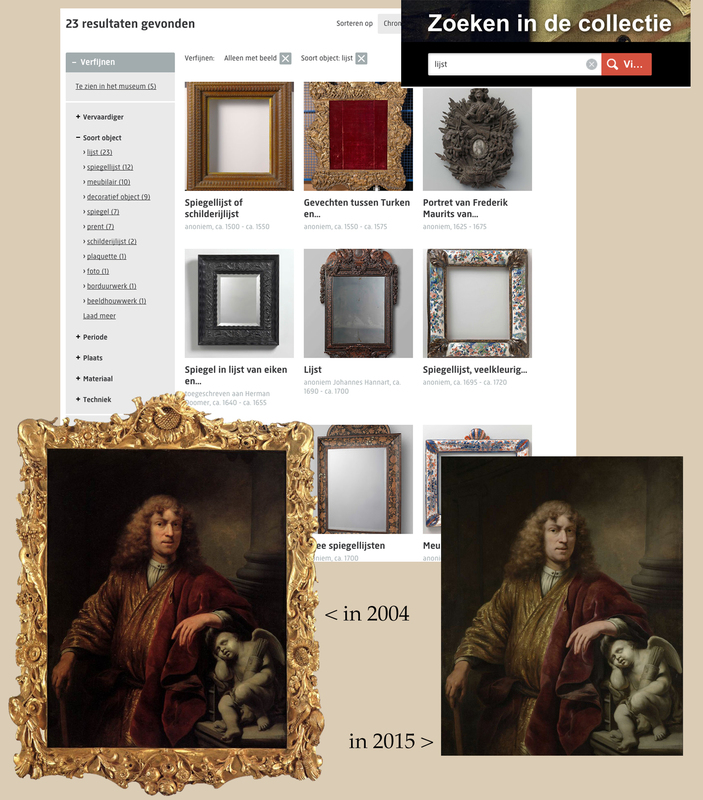 It was soon possible to do a search on the Met’s website with the term ‘frame’ or ‘picture frames’, and find both framed paintings and empty frames. The Museum had a ready-made pool of both occupied and empty frames in the Robert Lehman collection, and of empty frames in the Samuel Kress collection, all of which would have been photographed in the same way as other objects it possessed. This is an important factor in what it is possible to put online, since even now institutions are resistant to rephotographing their collections to include the frames as well as the paintings. 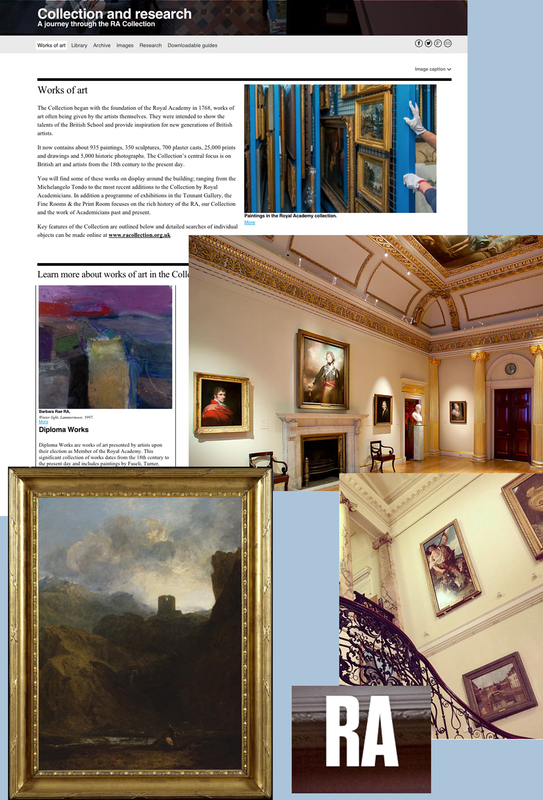 It is a slight flaw in the otherwise excellent project of the Public Catalogue Foundation, that, in recording every single painting in institutions throughout the UK, the opportunity wasn’t taken of recording the frames at the same time. It should be pointed out that it is not always necessary to have the work in question removed into a photography studio, the frame taken off, both items shot, and then the two photos recombined in Photoshop, as photographers might like to urge. Curators with cameras or even mobile phones can do a thoroughly efficient job of recording a framed painting hanging on a gallery wall, and the result – as well as being much cheaper and faster – will often look more natural than the combed and powder-puffed results of a studio sitting. It wasn’t until the late 1990s that a sort of tipping point in the academic study of frame history was reached in the UK. In 1996 three complementary exhibitions had opened in London: The Art of the Picture Frame at the National Portrait Gallery, Frameworks at Paul Mitchell Ltd, and A Hang of English Frames at Arnold Wiggins and Sons. All of these were noticed in reviews in the broadsheets – such as The Independent – as were the books or pamphlets which accompanied them. 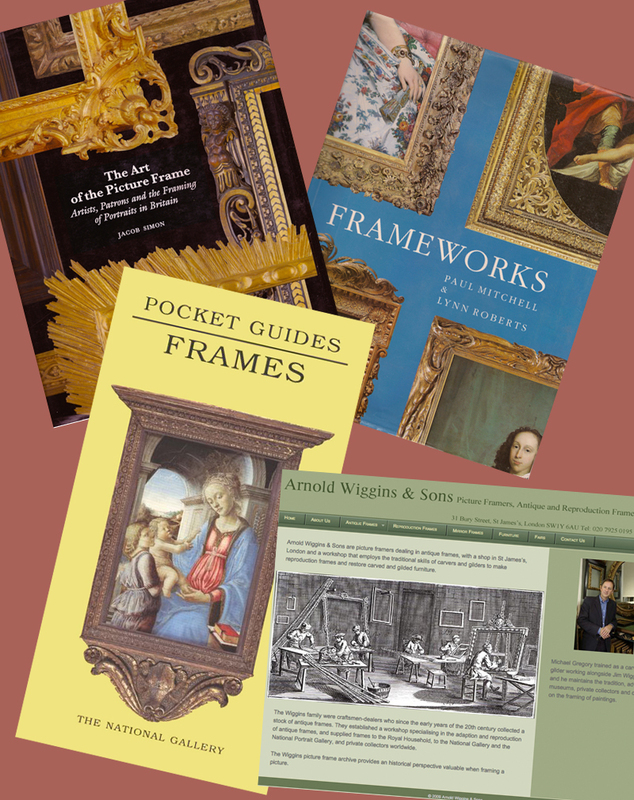 The next year, in 1997, Nicholas Penny published his Pocket Guide to Frames, based on the collection in the National Gallery. Interest in the history of picture frames, even apart from what they contained, seemed to be sparking a sustained need for a mine of knowledge on the subject – rather than isolated nuggets. And now there was another outlet for the research behind both books and exhibitions: use of the internet had by this time become so well-established that it could support some of the content which was otherwise only available to those who could visit the exhibition or afford the book. 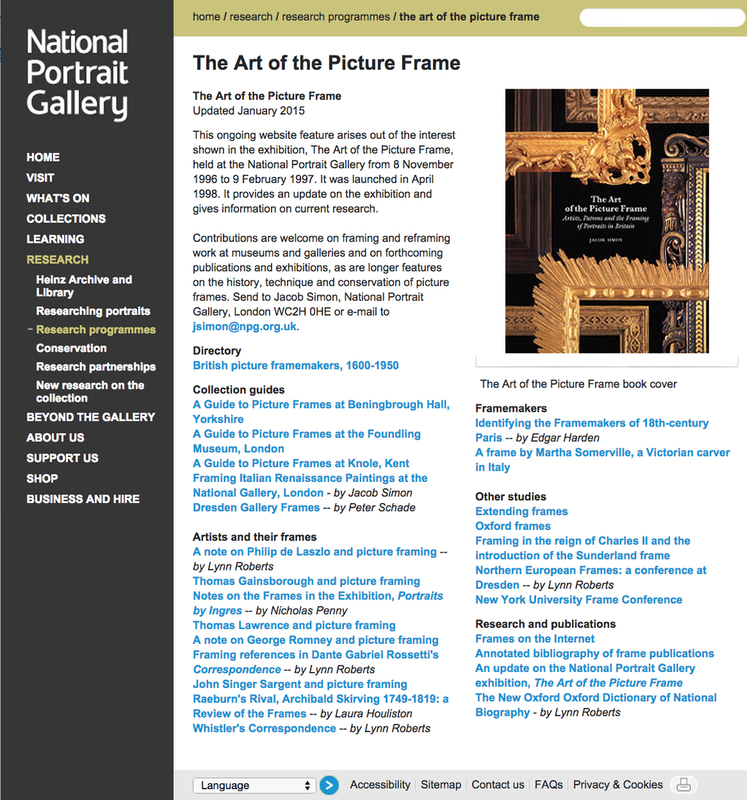 In 1998 a separate section of the NPG website, The Art of the Picture Frame, was launched by Jacob Simon, curator of the exhibition and author of the catalogue. It began with updates on the exhibition, but swiftly grew to include a library of articles. These dealt with frames in various collections; the frames used by particular artists or made by known craftsmen; types of frame; reviews; and a bibliography of frame-related articles and books. The website contains relatively few images of frames, but is currently one of the greatest online resources for information on the subject. It provides a pioneering example of how the internet might be used for relatively esoteric subjects (where publishing them on paper might be too expensive, and showing them might be too localized). By 2004 it also contained a basic list of other websites to do with frames, both museum-related and commercial. This seemed to look forward to a network of links which would connect a sort of global manifestation of images, research and articles on the history of frames. With the Tate, the National Gallery of Victoria, the Louvre and the Rijksmusem all appearing, however tentatively, to show some interest in publicizing their frames, and with a substantial number of good frames in the Met already searchable, it did seem as though that 1995 aim for ‘museums to make their entire collections available online, all the time’ might actually happen, and that picture frames would definitely be included. At that point it was still possible to find on the Rijksmuseum website some of its most striking and beautiful Auricular and Lutma frames, just as they had appeared in the Prijst de lijst catalogue. It was possible, too, to search for them both in Dutch and in English: this was an optimistic and promising tool which enabled anyone looking for those pictures online to see them as whole objects of art, complete with their own original settings. It allowed the spectator to experience them rather more as though they were hanging on the walls of the gallery, not cut from their frames and stuck without context or scale in the pages of a book. 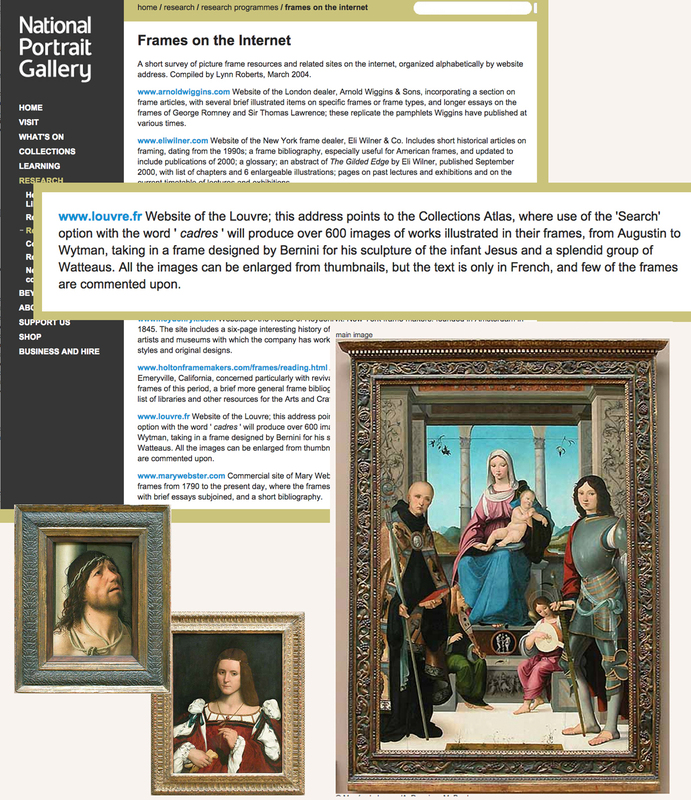 Similarly, the website of the Musée du Louvre could be searched, as you see, for ‘cadres’, bringing up more than 600 thumbnail paintings in their frames, which could be enlarged in a pop-up window, as in the right-hand altarpiece of the Madonna and Child. 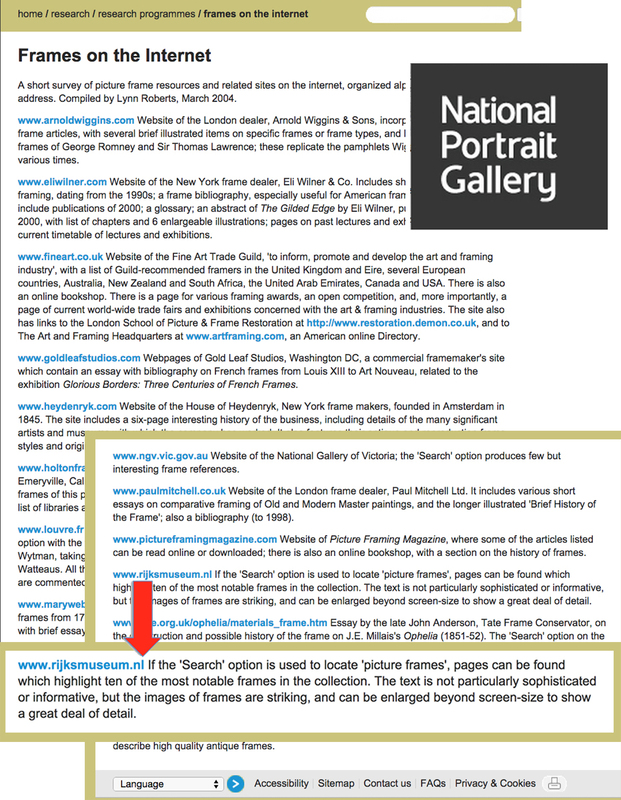 Unfortunately, eleven years after that embryonic list of websites was compiled for the NPG Frames on the internet, the light has somewhat dimmed in this bright new dawn: several of the commercial websites listed have removed some or all of the articles they carried, whilst the museums have taken away many of the images of their frames. 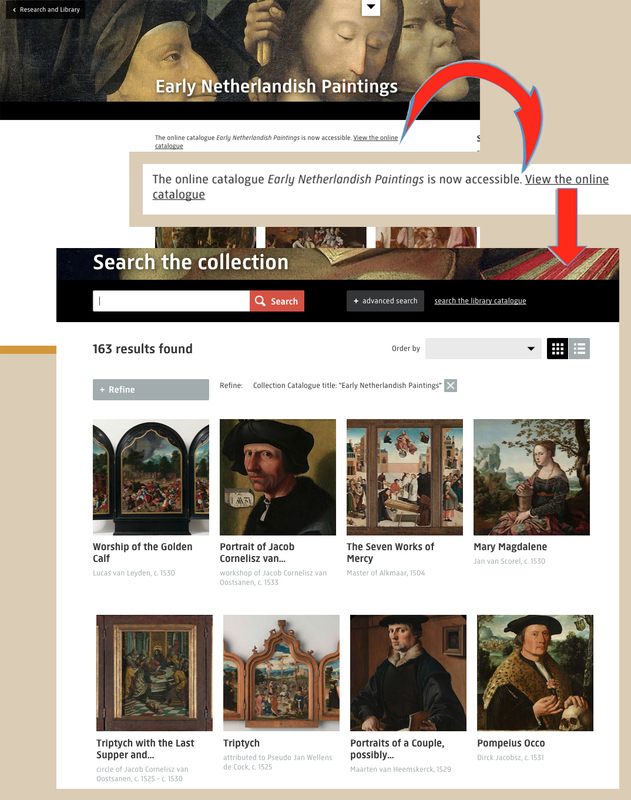 You can no longer search for the Rijksmuseum’s core collection of paintings in their original 17th century settings, and you can’t search in English. 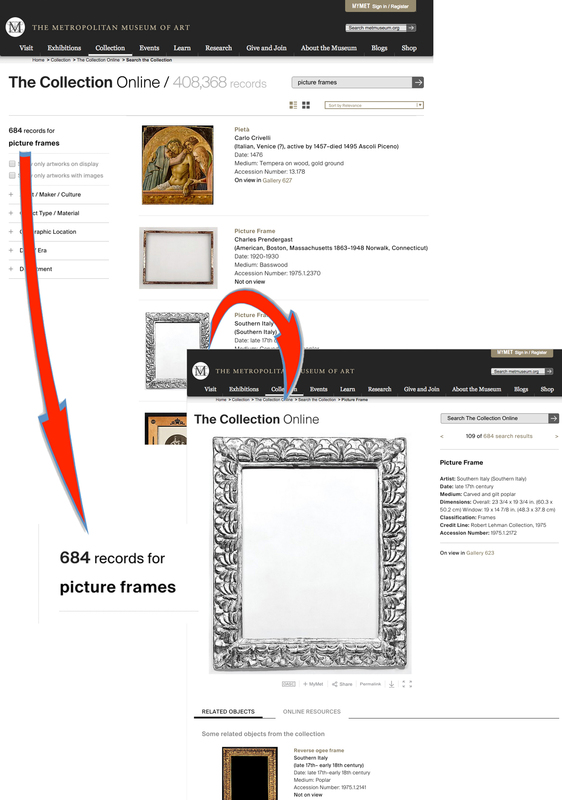 If you sort for ‘lijst’ – frame – you may find two dozen of their collection of empty frames (or you may also find 12 thousand objects with tangential connections to frames). 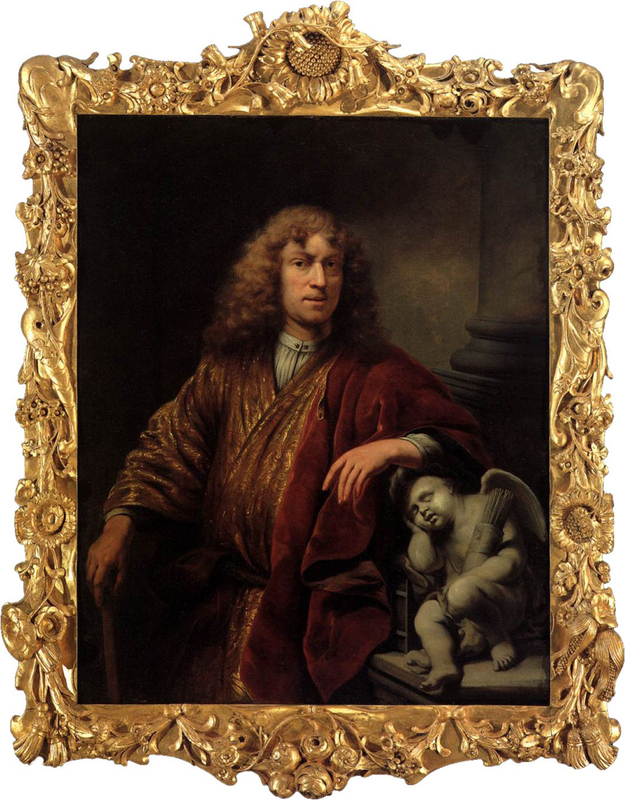 You can, however, no longer see Ferdinand Bol’s Self-portrait as the artist designed it to be seen. 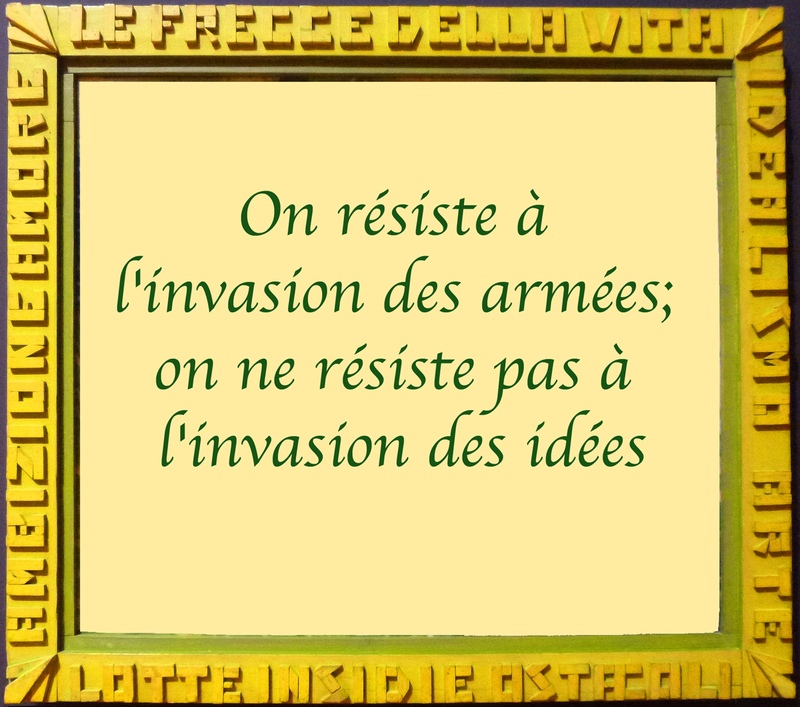 Neither can you sort the Louvre website and still find 600 plus frames; and if fortuitously you discover them there for an individual artist, there is no facility for enlarging or zooming in. Sites such as Birmingham Art Gallery also seem to have cut back on searching their collection, and on seeing frames other than in gallery shots. In the case of the museums, this seems partly to be fallout from the current curatorial idea that it’s important to make art appear easy and ‘fun’ in order to attract anyone under thirty-five into a museum, and that gallery websites should be zingy and interactive. The Rijksmuseum, with its Rijksstudio which lets you download bits of its works of art to brighten up your Fiat Panda, has made this application immediate and straightforward to use, whilst the online catalogue of early Netherlandish paintings, containing 163 works of which 30 have original frames, is tucked away in an obscure part of the website which appeared completely undiscoverable until Hubert Baija explained the route to it (go to ‘Collection‘ > ‘Research & library‘ >’Publications’ > ‘Online catalogue‘). Who would know, from the jauntily hip home page of this museum, that it has catalogued two thousand of its frames, and that this body of knowledge is waiting to be uploaded whenever the IT department can get round to it? – or that, as The New York Times reported on 13th May 2015, it intends to digitize all one million objects in its collection by 2020? In fact, the Rijksmuseum sponsored a conference on digitizing museum collections in April 2015, so it is to be hoped that the scholarly aspect of this work gets as much of a look in on its website as the opportunity to download art and play with it. A slightly different body of knowledge has had a happier and much more rapid landing. 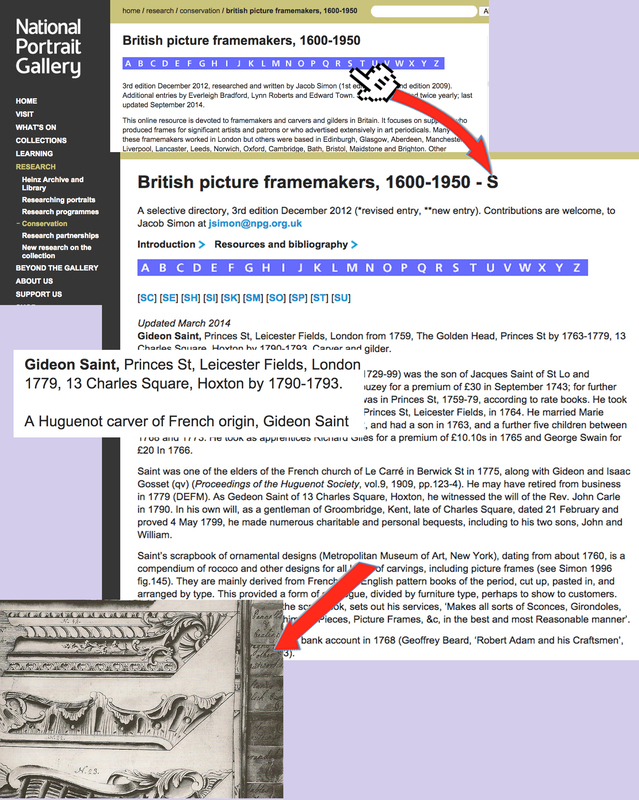 In 2007 Jacob Simon launched the Directory of British Picture Framemakers on the NPG website – this provides 350 years’ coverage of the main craftsmen who can be tracked through the work they did for artists, collectors and institutions; it is a major production, containing a staggering amount of meticulously verified detail from a wide number of sources. It collects together for the first time carvers, gilders and purveyors of compo ornament. It rescues them from the Dictionary of English Furniture Makers, where what they made was lost in a sea of sofas, and it gives a hugely informative picture of the art market across the centuries, seen through the men who bought and sold and commissioned within it. It is also continually being updated, refined and added to. If it only included illustrations, and could be cross-indexed for artists and clients, it would be the nirvana of frame research (you will have to make your own way to the Metropolitan Museum of Art to see the drawings by Gideon Saint in the image above; – at least, for now…). Other institutions have also exhibited hopeful signs of making their picture frames searchable and available to scholars. 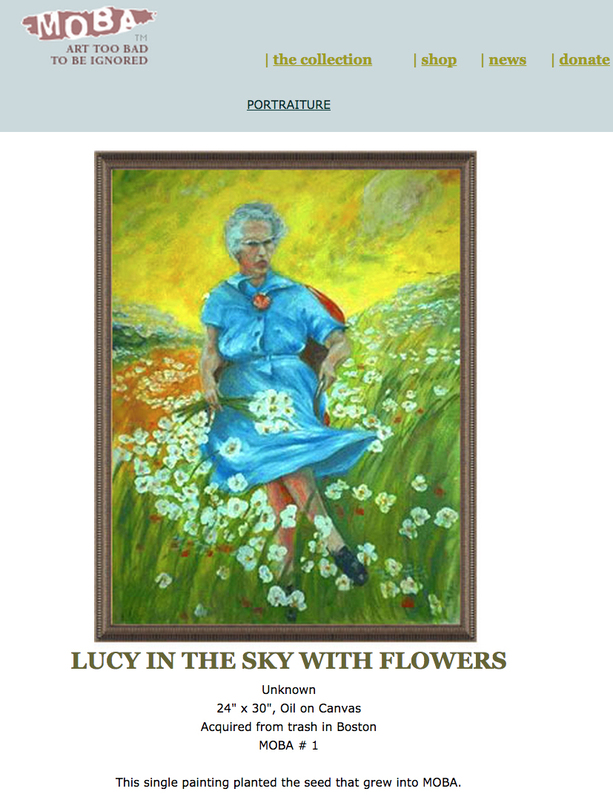 The National Trust Collections website, for example, has a category in its ‘search’ facility for ‘Frames’ (you need to pair this with ‘Art – oil paintings’ to avoid being drowned in a welter of chair frames, bed frames and door frames). The images it produces aren’t great in terms of lighting, focus and frequent wonkiness, and there’s no information on the frames themselves; however, they are there – lots of them – which is extremely helpful. 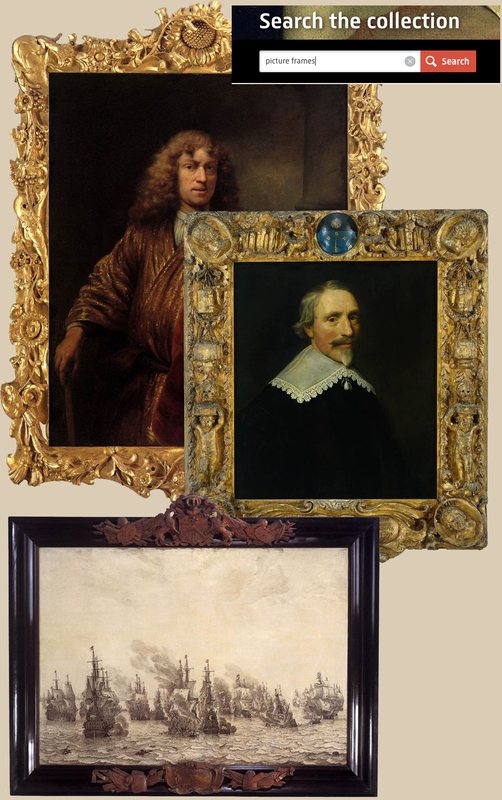 These are frames which may sometimes be original, and which otherwise are the choice of the patrons who acquired them, or of the children who inherited and wished to put their mark on that particular collection. Either way, many of them are of as much historic importance as the furniture in the houses where they hang, and the opportunity to see them online is invaluable. 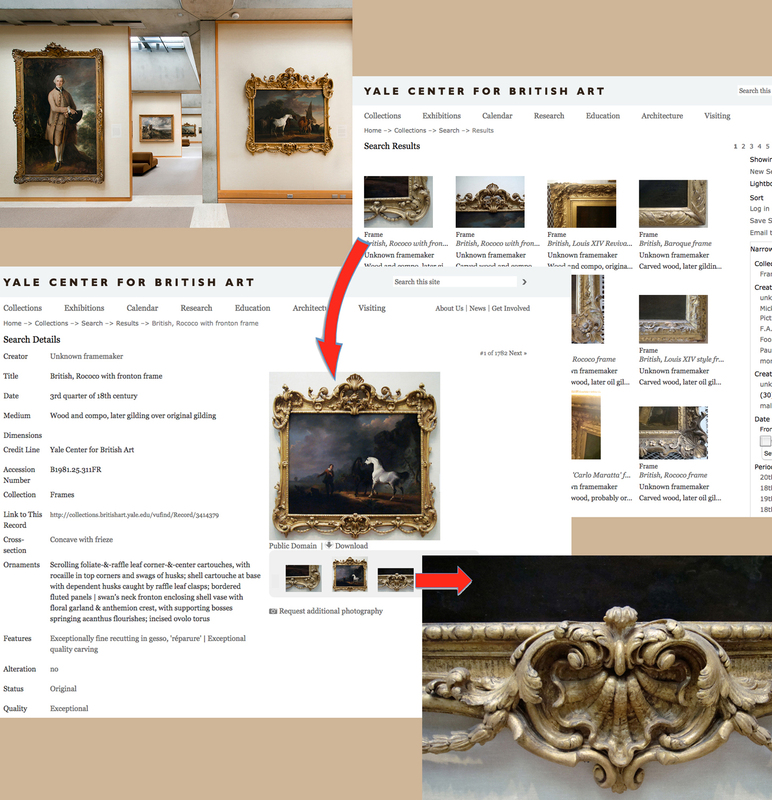 Likewise, the Yale Center for British Art finished cataloguing its frame collection a couple of years ago. It owns some stunning and beautifully crafted frames, on a par with the quality of its paintings. Now they have been photographed in downloadable high resolution images, with additional details; they’ve been dated, and have had their profiles and ornament described. Unfortunately a glitch in programming means that you can’t click between the painting page and the frame page, and of course there may also be other infelicities here and there; but everything is improvable, and this project stands as a solid statement of the importance of antique – sometimes original – frames to the paintings they enclose. The Royal Academy is also in the process of cataloguing part of its collection of frames. Many of these contain the paintings given by artists when they were admitted as academicians: these are the Diploma Works, which have generally remained in the frames in which they arrived, thus presenting an unrivalled collection of British paintings in their original settings from the 1760s onwards. Unlike the paintings in National Trust houses, where the artist would have had less input on the style of setting for his work, compared with the collector or even the relevant architect, the Diploma Works in the Royal Academy were all framed by the artists who painted them. This gives us valuable view of taste as it was promulgated by those creating the art: a view which will obviously be slightly different from that of the architects producing the background for that art, or from the patrons who acquired it. ‘Virtual visitors to museum websites already out-number physical (on-site) visitors, and many of these are engaged in dedicated learning’. 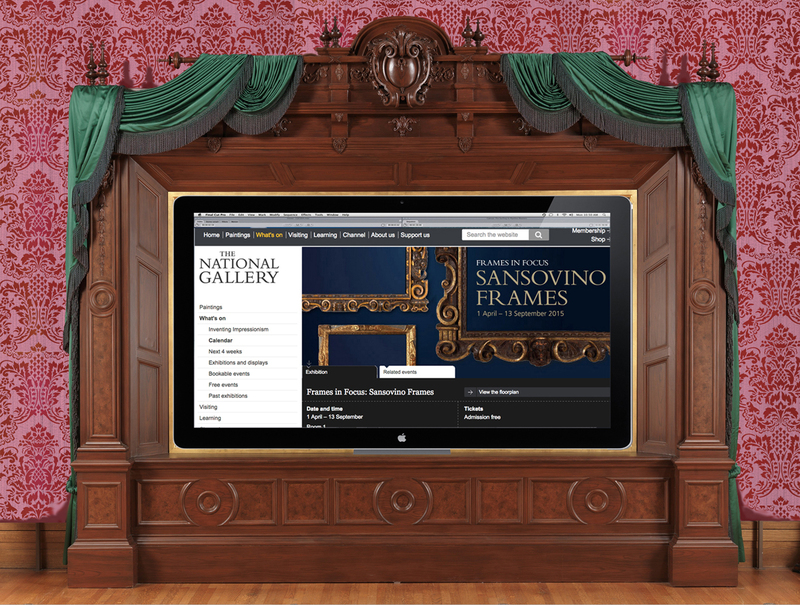 This is such an exciting opportunity; and – since the US and the UK will soon already have mutually accessible virtual collections of frames, through the Yale Center and the Royal Academy – there’s no reason why this should not eventually become an international project: a global hub of information on picture frames, linking museums in every country, and drawing in collections in historic houses, and even in churches. The Frame Blog was founded in this spirit – as an online magazine with, it was hoped, an international scope. If you are reading this, you may have some idea of what has been covered here so far, and if not, you can see from the archived pieces already published. Subjects have included Baroque French frames, British and Russian frames of all periods, Italian Renaissance and Mannerist frames, a Venetian altarpiece in Croatia, Netherlandish frames, American frames, Greek Orthodox shrines and iconostases, book reviews, reviews of exhibitions and auction sales. Curators and conservators from institutions of many different kinds, and in many different countries, have helped to give it substance, not only by contributing articles, but by generously providing large, clear images of paintings in their frames, which have hitherto been hard to obtain. The reaction to The Frame Blog has been very positive, revealing the interest there is in this subject worldwide, and how little information has been available up to now, save in a widely diffused and scattered form. Compared with the mountains of research on paintings which have been rearing up ever since the 19th century, similar output on frames has been almost invisibly low. And yet this is an object which acts as a fulcrum between the spectator and the artwork, throwing literal and metaphorical light upon it… it binds the picture to the architectural interior in which it hangs; mediates between paintings from different eras and locations; and often stands as a major work of sculpture in its own right. 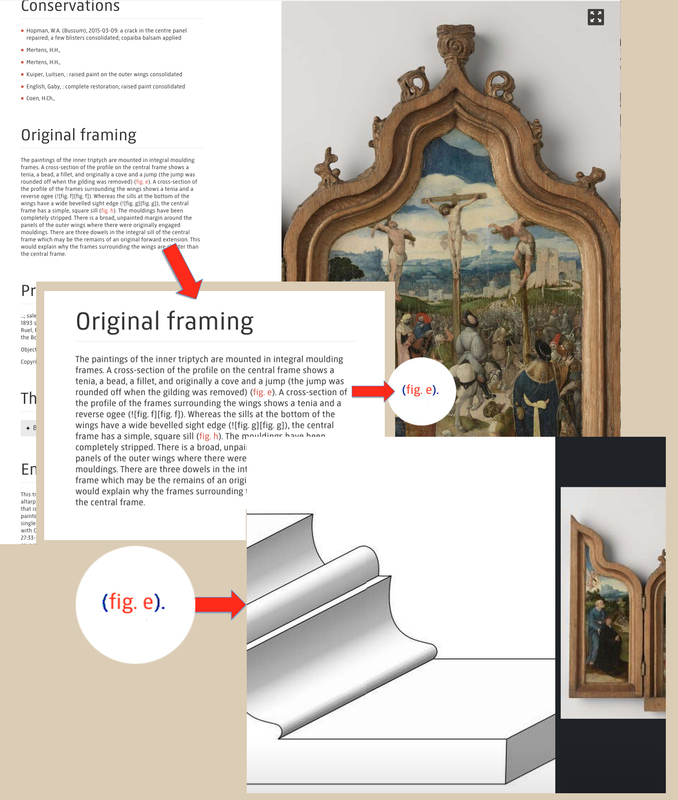 The frame is a complex and diverse object, and the internet is peculiarly suited to harbouring framing studies – partly because it can show better and clearer images than a book can, and from several different angles, and partly because of the wonderful flexibility of hyperlinks – which mean that you can build in references to other websites on architecture, the decorative arts, other frames, etc. Now we just have to persuade all those museums on the planet which carry collections of framed art of the importance of these interconnections. And Lynn, thank you very much for some unknown to me until now the data about the websites! Dear Lynn, this is the very valuable review! As England is close to the ideal scheme and – on the contrary – how many negative sad facts … I think the problem here is primarily for experts. You also write about it – how many curators studied painting and how little experts on frames. You must teach (and motivate) young people (students, young workers of museums), I think. How nice to hear from you, and thank you so much for commenting! I don’t know that the English approach is ideal – just that I happen to know about some things which are very constructive and positive.